Every season of the year, your family will enjoy nature's splendor. Whether you're an outdoors-man or just want to relax in the salt air, Chincoteague Island is the place to be. One of the greatest pleasures for your leisure hours on Chincoteague Island is a tour of the island's great variety of shops and galleries. 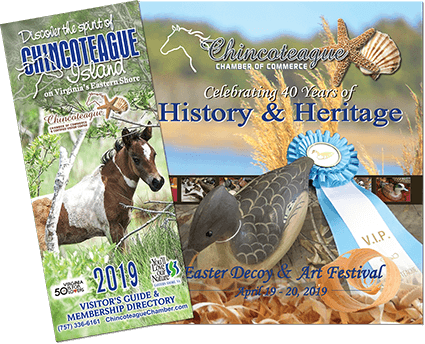 Chincoteague Island is home to a thriving artist community of very talented folks specializing in oils, watercolors, acrylics, hand-carved decoys, pottery, silk embroidery and more, for an enjoyable day of shopping. On the mainland not far from Chincoteague, you'll also find automobile dealerships, plant stores, and distributors and wholesalers dealing in products vital to the economy of the Eastern Shore of Virginia.